Everyone’s favorite Harvard lawyer is coming to the Power Center with MUSKET’s production of Legally Blonde: The Musical. 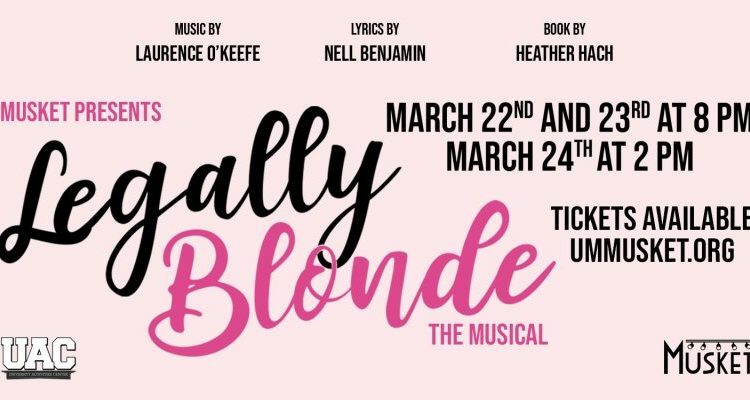 The story of our beloved blonde, Elle Woods, has taken the stage all over the country, and Ann Arbor will get to enjoy this fun, upbeat musical and follow her journey of self-discovery on March 22-24. Tickets can be bought at www.ummusket.org or at the MUTO in the League Underground.